Announced during yesterday’s keynote, the App Store app in iOS 8 will focus on discovery and search result presentation, potentially bringing important and useful changes for the next five years of the App Store. 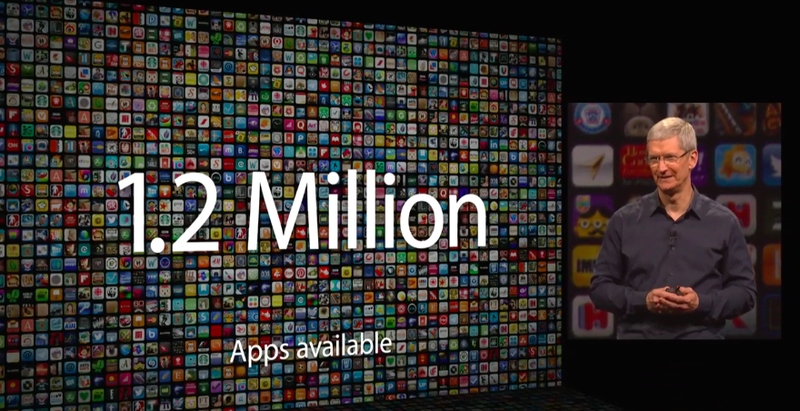 The App Store launched to 800 apps and quickly grew to host more than 1.2 million. Over the past few years, Apple started investing in curation efforts to let human editors pick the best apps, organize them in thematic collections, and curate those sections with regular updates and custom designs. 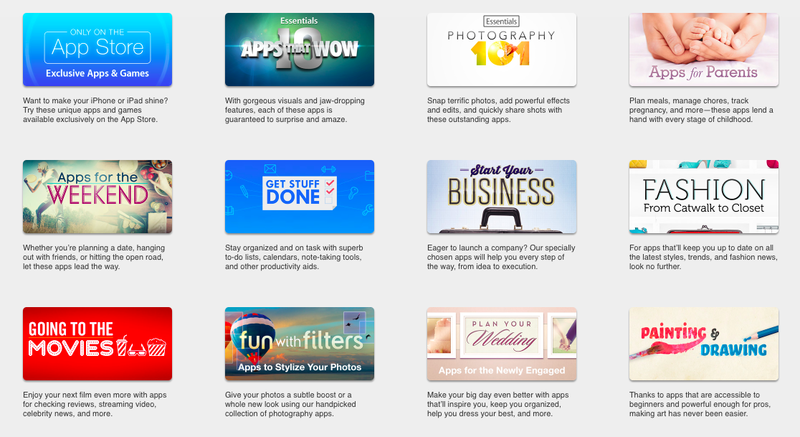 Curated sub-categories (for specific tasks such as “apps for writers” or “music players”) were previously limited to the App Store homepage; then, Apple started promoting them inside individual Categories (revamping the entire page design) and making them a weekly fixture of the App Store refresh. I’ve often argued that Apple’s own custom sections (the ones that are listed in App Collections) could become search results for groups of apps. The average App Store user – the one who doesn’t know about Drafts or Badland specifically – doesn’t open the App Store and search for “Drafts” or “Badland”. He launches the App Store, consults the front page and the Top Charts, reads a couple of reviews, and maybe taps on one of Apple’s suggestions in New & Noteworthy and Editor’s Choice (not before having grabbed the Free App of the Week, though). He doesn’t know about app names, but he may look for “work apps”, “office apps”, “diary”, “puzzle game”, and “advanced calculator”: these happen to be exactly the kind of names that Apple uses for their curated sections, and yet those sections are completely hidden from search. That’s going to change with iOS 8, except the destination won’t be search: Apple is adding a brand new Explore section to the App Store that will combine curated app collections with new sub-categories. 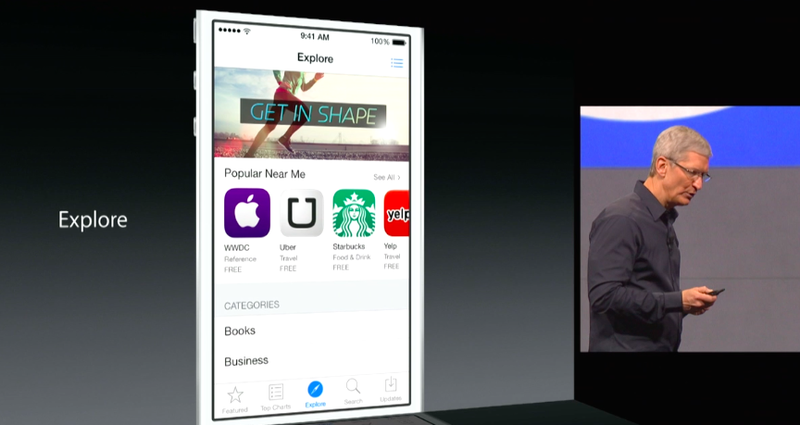 Unsurprisingly, Explore is going to replace Near Me in the middle tab of the App Store app for iOS 8: Near Me will be integrated into Explore, and it will likely extend as part of a new system to advertise apps relevant to your location on the Lock screen. Free of the limited scope of Near Me, Explore will enable the App Store team to offer a full-blown index of app categories that are easily accessible from a dedicated view. It is my understanding that Explore will feature a mix of the curated app collections Apple has been building for the past couple of years and new filters for app types. Starting with the basic list of App Store categories, you’ll be able to drill down into more specific sub-categories with multiple levels of depth, such as “Music > DJs” or “Productivity > Task Management > GTD”. Combine the App Store’s 24 existing categories with dozens of respective sub-categories, and you’ll get hundreds of micro-sections showcasing apps with similar purposes or solving similar problems. It’s a notable change for App Store organization and a welcome restructuring of collections that used to be forgotten, half-baked, and scattered across the App Store. Search presentation (we don’t know about the underlying algorithms yet) will also undergo important changes this Fall. Related searches, which we spotted earlier this year, will be added to the App Store to help users filter results and find an app they’re looking for more easily and quickly. 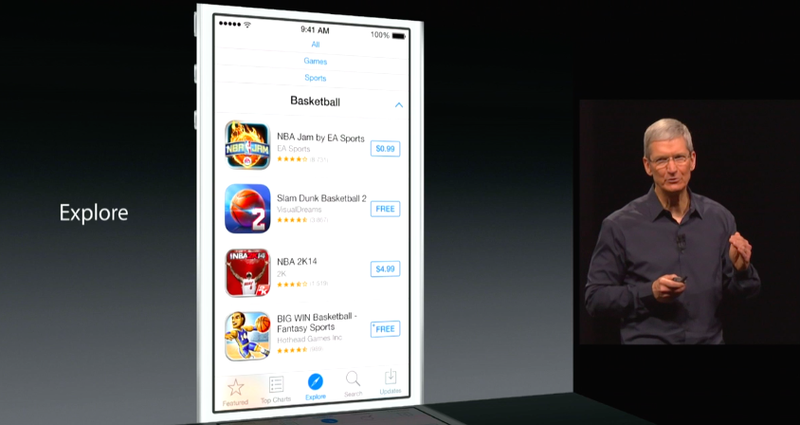 Apple will suggest searches with trending searches – presumably a collection of popular queries organized by region. Trending searches will be an interesting experiment as, like trending topics on Twitter, they could harness data available on Apple’s servers to show what the majority of App Store users are looking for. While Near Me was all about trying to suggest apps based on location, trending searches could help in discovering apps for current events and time of the year (“oscars 2014”, “taxes”, etc). The obvious risk is an overlap between Top Charts and trending searches, as users are likely to search for popular apps they’ve heard or read about somewhere else (“Flappy Bird”, “office”). 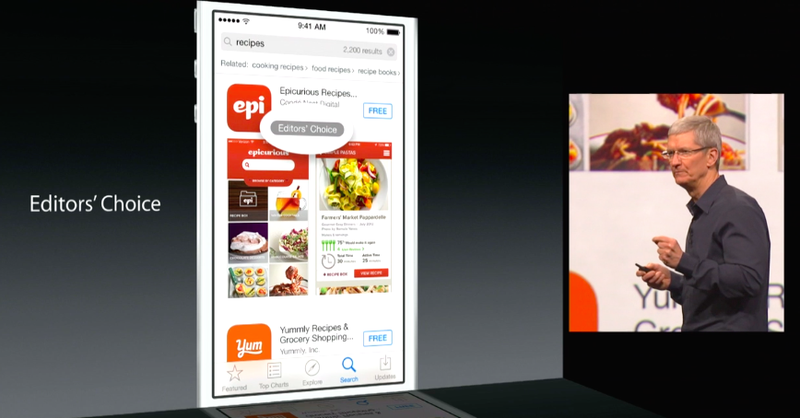 An Editor’s Choice logo will be featured underneath an app’s name and ratings. The “seal of quality” approach isn’t completely surprising (Apple has chosen hundreds of Editor’s Choice apps at this point), but what truly matters is that the logo will appear in search results while browsing apps, providing an immediate differentiator for apps that Apple’s editors have deemed as “the best”. Speaking of search results, the much criticized card-based layout is going to be tweaked to feature vertical scrolling and two screenshots instead of one. Developers who designed their App Store screenshots for the old iOS 6/7 search results will have to consider the fact that two screenshots will be displayed side-by-side when scrolling search results on iPhone (no word on iPad yet). With 1.2 million apps on the App Store, discovery, curation, and search refinements are key: if Apple wants users to discover more apps and the best ones of all possible choices, users will need guides and tools that go beyond banners and charts. The company is focusing on tweaks and design changes that combine curation (now properly promoted) with automated technologies to make sense of the huge marketplace the App Store has become. The effort is somewhat reminiscent of Beats Music, but without personalized recommendations (Genius is still nowhere to be found in the current beta of iOS 8). There are questions – primarily about regular maintenance of sub-categories and who decides which apps are listed in there, but also search algorithms and ASO – but I’ll save them for this Fall. I think Explore and search display improvements are good moves that signal Apple’s intention to make the App Store a better place to discover apps.